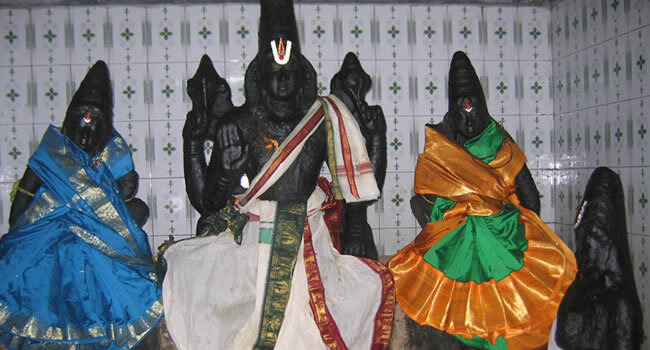 Sri vaikundanatha Perumal temple is one of the Divya Desams, the 108 temples of Vishnu Believed to have been visited by the 1 poet saints or Alwars. This Temple is located at Sri Vaikundam in Thirunelveli district.This sthalam is one of Azhwars Navatirupathi.Sri Vaikundanatha Perumal temple is vast an inspiring edifice.The main Deity of sri vaikundanatha Perumal Temple is Vaikuntanathar. The Lord in this Temple is also known as Paal Pandyan. 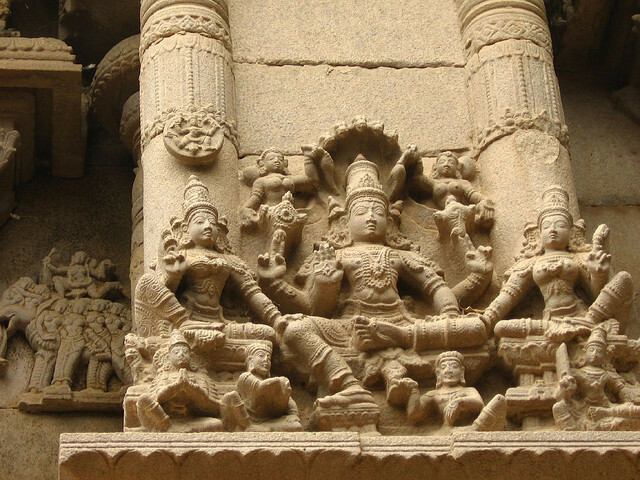 The architecture of the temple is simply amazing and there are three prakarams in the temple. It is believed that Sun god prays to the Lord here twice a year with rays all over the Lord. There is a small impression on the cheeks of the utsava moorthy as the sculpturist who made the utsavar got immersed in the beauty of the Lord and pinched him forgetting everything else. Once, a theif named, Kaala dooshakan, after steeling the precious things from the people had an agreement in his mind, that he will give half of the stolen things to this sthala perumal. As of its whenever he steels something, he dedicated half of the stolen things to Vaikunda nathan. Likewise, once he stole some precious ornaments and things from King's palace. But unfortunately, he was caught up by the palace authorities. They brought him to the palace and made to stand infront of the king. Without knowing what to do, he meditated on Sri Vaikundanathan, in his mind and heart. Since, the perumal got the things from the thief, he occupied entirely in the heart the minds of him. After this, he explained the Aathma Gnana followings to the king. The voice and the appearance belongs to the thief, Kaaladooshan, but the explaination of the Gnana was told by Sri Vaikundanathan. After hearing this, the Emperumaan gave his dharshan to both, the king and the thief in Nindra Thirukkolam. As asked by the king, this perumal is named as "Kalla Piraan". Kalla - means thief. Since, he gave the seva through a thief, he is named as Kalla Piraan. 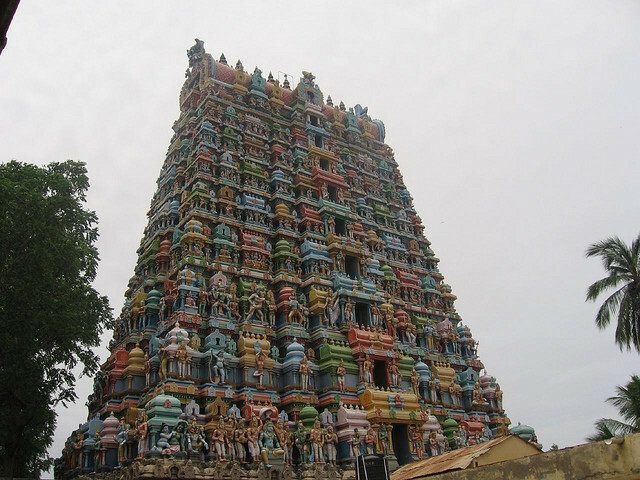 Sri Vaikundanatha Perumal Temple is Located at Sri Vaikundam in Thirunelveli,Tamilnadu.Sri Vaikundanatha Perumal Temple is a Hindu Temple dedicated to Lord Vishnu.This Temple is also Known as Kailasapuram and has in Nataraja shrine, 8 artistically carved pillars. The Presiding deity of this Temple is presiding deity is called Vaikuntanathar and the festival deity is Kallapiran.important Festivals of this Temple is The Garuda Sevai utsavam. The Lord had come down to here to help Lord Brahma recover the book having secrets about creation of the world here and hence the place is called Thiruvaikundam. The temple occupies the Soorya graha place among the Nava thirupathis. The presiding deity is Sri Vaikunta natha perumal in standing posture with Adiseshan above his head - a unique feature as normally the Lord is found only in a sleeping posture over Adiseshan. 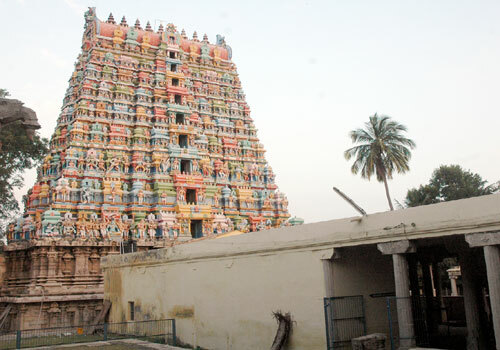 Taamaraiyaal Kelvan Perumal Temple, Parthanpalli,N..